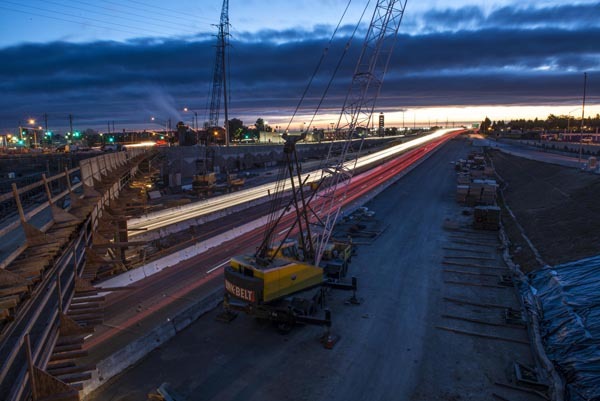 Loveridge overpass during construction Spring of 2013. You may have noticed that we’re doing things a little differently for this year’s Faces of Transportation photo contest. To start: themes! This year’s themes were selected to give you broad topics from which to choose and to allow for lots of, well, faces! Photos and video in this theme will emphasize transportation projects, and the people who work on them, that have contributed to the general quality of life and economic development of local communities. Photos and video in this theme will emphasize the people who use the nation’s transportation network to discover new places, move to new locations, and explore. This NEW category seeks photos and video of the people who are taking the nation’s transportation system to new levels, innovating, creating, and broadening the intricate network that binds us together. Now, get out there and get those great photos and video!